Help save the library: Sign the petition. 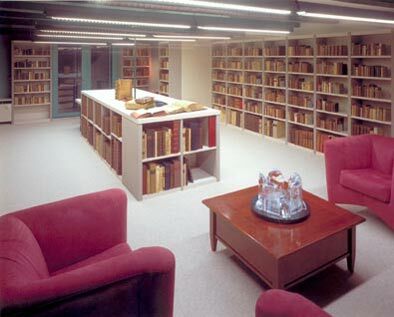 UPDATE: A new blog has been created for the preservation of the Ritman Library. Check it out and show your support! Please save the hermetic library! This resource should have been declared a European treshure a long time ago. 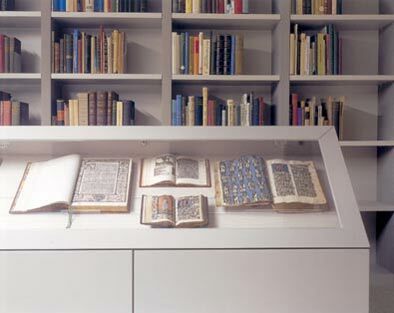 Its library is a beautiful and rich documentation of the material and fenomenon of the pivotal development of the European thought leading to enlightenment and science. So distressing! Could you give me the names of some Dutch newspapers that I could send a letter to in support of the Ritman? Parool, nrc, nrc next, volkskrant, AD (Algemeen Dagblad) telegraaf, to get you started. Also, one European member of a group I posted this information to has suggested people contact their deputies at the European Parliament, calling for what Jan is saying: the library should be a protected treasure of European–and world–history. Very distressing! Let us hope that those involved will understand that the intrinsic value of the collection as a whole outweighs the monetary gain by selling parts of it. Please keep the Bibliotheca Philosophica Hermetica intact! let hermes speak and write freely . This is something worth.A world treasure! De kan ikke gjøre dette hvis de har alle de fem sansene eller flere inntakt ;). Å samle alle de bøkene under samme tak i fremtiden vil være umulig, det er en ikke reversibel handling. Bare prinsipe med å bytte såne bøker mot penger, høres ut som noe fra en politisk system for ikke langt tilbake, som et hvert oppgående politisksystem ikke bør ver noe noe en er bekjent med. They can not do this if they have all the five senses or more intact;). 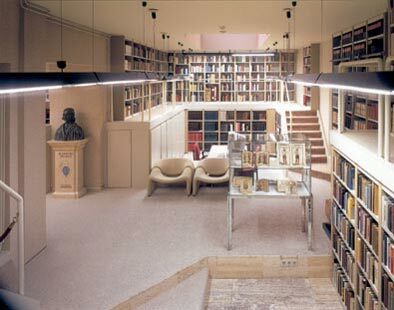 To collect all the books under one roof in the future will be impossible, it is not a reversible action. Only the principle of swapping saner books for money, sounds like something from a political system not far back, like any rising political system should not be any ver no one is familiar with. hola soy Argentino maravillosa la biblioteca,quisiera saber si tienen libros en pdf u otro formato español,libros antiguos de alquimia,esoterismo,ocultismo,relacionados con la Rosacruz u otros movimientos,desde ya muchas gracias,atte.Sebastian. Sicher wäre es ein großes Unglück,wenn diese kostbare Sammlung auseinandergerissen und in alle Welt zerstreut würde. Ihre Schriften sind die unabkömmliche Basis hermetischer philosophischer Studien. Mögen sie es auch bleiben! All texts need to be preserved for the future. Do not let knowledge and research die. From Barcelona, Spain: SAVE THE LIBRARY! Please do. Spread the message, and sign the petition! Please, do not sell in part, or as a whole, this archive, it’s importance to heritage, and the knowledge/wisdom it has the ability to impart to the masses far outweighs the material gain which may be procured. Let this not fall prey to the ways of materialism, greed, and power hungry entities. It need not fall into the dark recesses of times past, and forgotten like the Alexandrian Library, and others have, from long ago to the not so distant past. We need to preserve this knowledge, and learn all we can from the amassed works of the collection. Please allow the continuity of this collected body of works to remain wholly intact, for the sake of the people, and our future generations. Save the Bibleotheca Philosophica Hermetica, and all of it’s current contents. This precious library is a treasure of European culture. The knowledge which its books collect belongs to all of us, and it must not be a “private” property. The library’s ideal worth outweighs the gain by its dissolution by far! As in any closures in the cultures, it is irreversible and a great loss for our culture which we all will soon regret sorely. Do not be this short-sighted. Keep the library, appreciate it and save it! Some 70 years ago, my home country and whole Europe was heavily affected by a “government” which disappreciated the rich culture of many people of this world. It is time to learn from the past. Cultures which have been distroyed in whole or in parts can never be brought back. Dear all of you who have expressed your support – thanks a lot! Thank you very much. The link is missing in the article. Could you please add it to the blog text so that everybody can find it? No, sorry. I was just too stupid. The link is obviously there. Save the library! I would love to see it one day. such collections are interesting in therir entirety, dispersing books brigns to loss of information. I not only sign this petition but am spreading the word amongst my friends and allies. This is our common philosophical and spiritual heritage. How unspeakable that it comes down to having this collection sold off. Again those who are afraid of knowledge go to work. only the very stupid or very controling would dimantle and therby destroy this type ofdata base. Wer sich mit geisteswissenschaftlichen Themen beschäftigt, findet in dieser Bibliothek einzigartiges Quellenmaterial, das in dieser Fülle und Qualität wohl einmalig ist und unbedingt erhalten bleiben muß. Das Sammeln dieser Literatur hat sicherlich viele Mühe gekostet und bedeutet einen unwiederbringlichen Verlust, wenn die Sammlung versteigert würde. Please save this treasure for future generations! Diese Bibliothek ist einzigartig und unersetzbar. Sie hat den Rang eines Weltkulturerbes und muss erhalten werden! There is no such thing as a branch of human knowledge that we can afford to ignore, waste, or lose. Please do whatever is necessary to preserve this important collection for future generations. Thank you. It is important that this treasure remains in one place. and his place is in the hands of Mr. Joost Ritman and his team, the greatest connoisseurs of hermetic philosophy in the world. Please save this Library; a treasure for all mankind. This treasure should be preserved for the benefit of all spiritual seekers. Please save the Library ! It would be a shame if Holland lost this important part of its spiritual inheritance..
Don’t break up this treasure trove and scatter it all over the world. Aren’t some things more important than money? I worked for the Library for over 15 years and did a lot of commissioned art work for the collection. I have seen and read a great deal of the books and watched it grow from the basement of Mr Ritman’s house into the major collection it is today. To destroy this valuable asset would not only be a tragedy for Holland, but for scholars all over the world. By all means, don’t TOUCH the codex. Leave it where scholars the world over can study it and perhaps add more to our knowledge. Selling a rarity like this would be akin to the destruction of the library in Alexandria! PLEASE SAVE THIS TREASURE FOR FUTURE GENERATIONS. SOS!!!!!!! This library can be moved into new builded National Library of Latvia. I am sure there is a space for such amount of books. Please SAVE This Spiritual and Cultural Treasure !!! Please save this library. It is so important. Start an international fund drive, everyone will contribute. Please, do not let this collection get dispersed. There are genuine issues in the world about which all mankind should be concerned. It is distressing that time and energy must be spent on something like this when it ought to be a “no-brainer”. It is madness to consider casting the contents of this unique institution to the four winds. Do what must be done. Save this library! Most humans don’t have the knowledge to make a decision in regards as to the importance of such a library as this, please don’t ever separate this wonderful collection of gathered knowledge. There are agents trying to do this, so men can remain stupid. Please do not sell this, it means too much to Human History. John F. Scott, Narada Theosophical Society, in Tacoma, Washington, U.S.A.
Il faut sauver la Bibliotheca Philosophia Hermatica d’Amsterdam! It is a tremendous loss for mankind! But one thing I really cannot understand: why Mr. Ritman himself put the most important book of his library to be sold at Sotheby’s? If the Dutch government has declared the Library a Dutch National Treasure , which means, it cannot be broken up or be sold abroad why put in danger this wonderful heritage? There is a large number of issues to this conflict, only a few of them are publicly known. It suffices to say to say that it’s all very messy. That said, the Grail manuscript was not part of the state owned section of the collection. But was put by him as a colateral loan when he asked money from the Friesland Bank. So he could not sell it without some authorization. This very act mess everything. The law is completely against it and a lawyer could said it to him. And also the Dutch government helped him in 1995 declaring the Library a Dutch National Treasure , witch means, he could not sell any book. Specially the most famous book that contains the oldest surviving account of the legends of King Arthur. I know he is a very special man and he loves this Library this why I cannot understand what is happening. That’s more or less true. The crucial issue now has been to separate the value of the collection and library from the moral responsibility of its father. That, unfortunately, did prove too difficult for the government in the end. This valuable repository of information must be saved at all costs. Chris De Naeyer. Aalst België. Dit zou een misdaad zijn, moest dit verdwijnen.